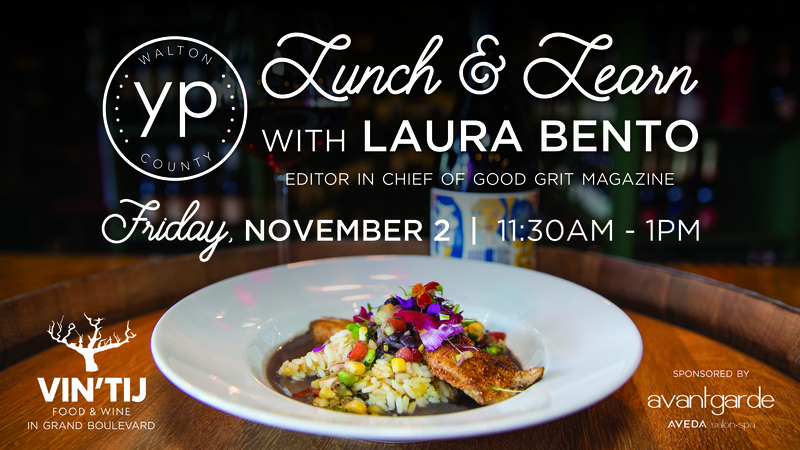 Join the Young Professionals of Walton County as we welcome Good Grit Magazine's Editor-in-Chief, Laura Bento who will discuss her favorite F word - Failure. This exclusive luncheon sponsored by Avantgarde Salon • Spa will take place on Friday, November 2 from 11:30am - 1pm at Vintij Food & Wine and is only open to 50 attendees. $20 for members and $25 for non members. As an organization, the YPWC along with the Walton Area Chamber of Commerce are working on future initiatives to help those affected by Hurricane Michael. Including collecting priority items (non-perishable snacks, Gatorade, tarps and cleaning supplies) at our November 2 Luncheon at Vintij Food & Wine at Grand Boulevard at Sandestin. If you are unable to attend this luncheon on its new date, please email Amanda (amanda@waltonareachamber.com) to receive a refund.